Fill-Coat #6 is used to fill the annulus of gas distribution bridge abutment casings. it prevents corrosion by filling the void in the casing annulus. In addition, new water is prevented from entering the gas-filled casing. Applications include aboveground cased pipe (like bridge abutment casings). 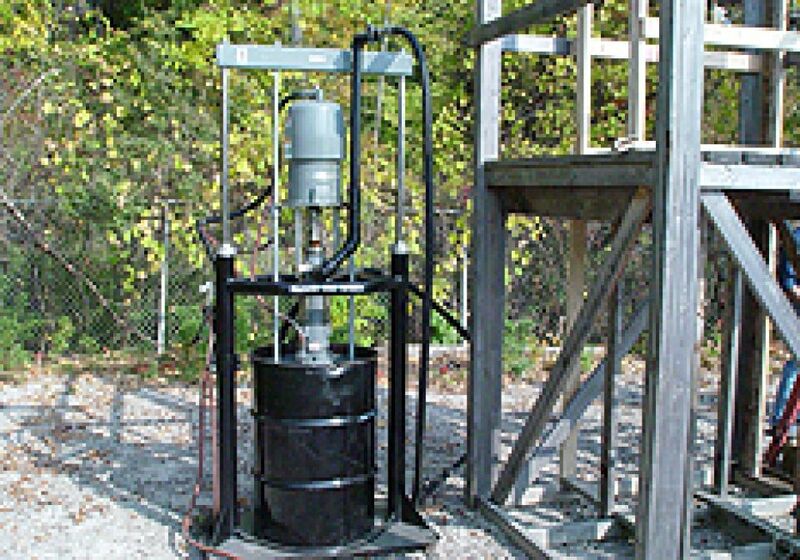 Fill-Coat #6 can be installed by a variety of portable air powered mastic pumps (1, 5, or 50 gallon capacity). The material is pumped into the annulus of the casing until the casing is full. The casing ends can be sealed with Trenton Fill-Putty™, Trenton #2 Wax-Tape® or an epoxy filler once it is full.